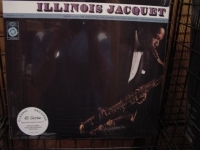 45 Speed LPs - items 150 to 175 Shop MyMusicFix!! 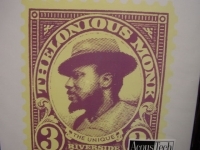 "Thelonius Monk, The Unique #140"
"Tina Brooks, Back to the Tracks - 45 Speed 180 Gram"
Four 45 Speed 180 Gram LPs. This Long Out of Print 45 LP SET was mastered from the Original Session Tapes to 180 Gram Heavy Virgin Vinyl and is one of the Rarest Limited Edition Audiophile LP's in existence (only 500 ever pressed & one of the only copies left in the world). Each set has 4 LPs at 45 Speed, 180 Gram Vinyl on a 12" LP. Cannot be found at any retailer. 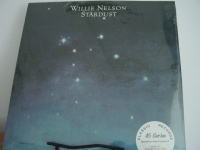 These 45 LPs are so Rare that many of these Out of Print masterpieces sell for $200+ in these 180 Gram factory Sealed Limited 1st Edition/1st Generation Pressings. This 180 gram pressing is the only way to verify that a 1st edition Collectors find from Classic Records mastered on a high-definition Virgin Vinyl pressing for superior fidelity. The nicest thing you can do for your stylus and your ears. The ultimate record -- the way music was meant to be heard and of superior quality for any Audiophile. And of course cutting at 45 speed is the audiophile choice for the highes quality. A 45-RPM record is sonically superior to a 33 1/3 variety because of a 35 percent reduction of groove curvature compared to a 33 1/3 cut.. It means that while you can't fit as much music into a 45, the undukations of the groove that your cartridge has to track are stretched over a longer distance. For these reissues, the music was displaced onto four sides, meaning each side contains about 10 minutes of music. The only way you'll get closer to this classic music is to listen to the master tapes or have been in the studio with the artist originally during the actual session. You will be one of the last people in the world to own this 1st Edition Masterpiece. Oh my. What a stable Blue Note had all those years ago. So many classics, so many players drifting in and out of each other's music. Turretine working for Grant Green who worked for Turrentine. 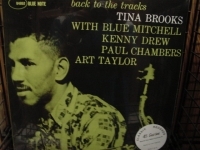 Art Farmer and young Jackie McLean doubling up for classics such as Sonny Clark's Cool Struttin', and then Jackie showing up with Blue Mitchell for another classic, this one--Tina Brooks' Back to the Tracks. What happened? 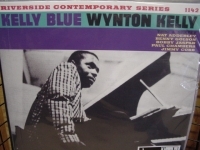 Why did Blue Note hold on to this for decades? Tina could write--his tunes swing with an overlay of blues, even an echo of gospel. McLean is loose on alto, although not as scorching as he gets in later years. Blue Mitchell goes strong on the trumpet, and Tina is in nobody's shadow as he works the tenor sax. Paul Chambers and Art Taylor lay down an insistent melody line, and everone else takes off from there, but noone goes so far away that the rhythm breaks down or the hooks fall apart. Three of the five pieces belong to Tina, and his melodies swing in that hard bop way. And those eight to ten minute tracks let everyone stretch out, work together, branch out on their own. Tragedy in Tina's life? Sure, but that's old news for jazz artists in the forties and fifties. Musically, Tina Brooks deserved a better fate. This is a classic, right up there with Morgan's "Sidewinder," Clark's "Cool Struttin,'" and Dexter Gordon's "Go." Better late than never, sure, but not for Tina Brooks. "Tony Bennett & Bill Evans, The Bennett Evans Album #138"
"Vince Guaraldi, Jazz Impressions Of Black Orpheus (Numbered)"
180 Gram 45 Speed Limited Edition Analog Virgin Vinyl (limited series of only 1000 pieces). 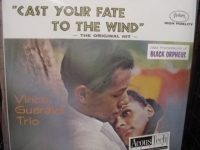 Vince Guaraldi was one of the earliest to grasp the possibilities of bossa nova and recorded four of the Black Orpheus pieces in this 1962 album. He also played two standards and two of his own compositions. One of those originals was a pleasantly rhythmic little melody called "Cast Your Fate to the Wind." 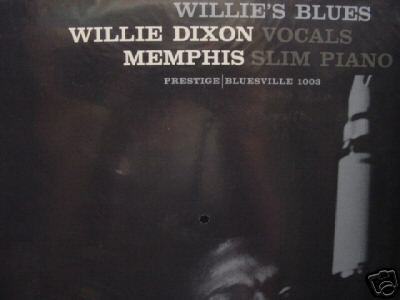 Tracks include: "Samba De Orpheus" "Manha De Carnaval" "Musso Amor" "Generique" "Cast Your Fate To The Wind" "Moon River" "Alma-Ville" "Since I Fell For You"
"What It Is, Box Set"
"Willie Dixon & Memphis Slim, Willie's Blues - 45 Speed 2 LP Set #140"
"Wynton Kelly, Kelly Blue #140"
"Illinois Jacquet Field, ST - 4 LP Set in 45 Speed/180 Gram"
"Lightnin' Hopkins with Sonny Terry - Last Night Blues - 45 Speed 2 LP Set"
LIGHTIN' HOPKINS - LAST NIGHT BLUES - 1ST EDITION EVER IN THIS 45 RPM SEALED 2 LP SET - IS OUT OF PRINT AND PROBABLY ONE OF THE LAST SEALED COPIES LEFT IN THE WORLD. THIS PRESSING WAS LIMITED TO 1000 PIECES ONLY. DO YOUR HOME WORK AND YOU WILL SEE IT NOT AVAILABLE AT ANY AUDIOPHILE DEALER LEFT IN THE WORLD. Here's How it was done: Using only the original analog master tapes, the renowned team of Steve Hoffman & Kevin Gray remastered and cut all of the titles at AcousTech Mastering, which features a pure Class-A disc-cutting system. AcousTech is located at Record Technology, Inc. the plant where the vinyl was pressed. It is a tremendous sonic advantage to have the pressing plant plating department & mastering room in the same facility as Steve & Kevin could cut a lacquer and plated immediately. This prevents the degradation of the grooves in a lacquer which is very fragile to quick deterioration. And of course cutting at 45 speed is the audiophile choice for the highes quality. A 45-RPM record is sonically superior to a 33 1/3 variety because of a 35 percent reduction of groove curvature compared to a 33 1/3 cut.. It means that while you can't fit as much music into a 45, the undukations of the groove that your cartridge has to track are stretched over a longer distance. For these reissues, the music was displaced onto four sides, meaning each side contains about 10 minutes of music. This is the ultimate reissues. The only way you'll get closer to this classic music is to listen to the master tapes or have been in the studio with the artist originally during the actual session. 45 Speed - 2 Sealed LP Set For all the similarities of heritage and experience which they share, Lightnin' Hopkins and Sonny Terry were direct opposites. Where Lightnin' was leery of strange situations, dependent and suspicious, and the victim of his handicaps, Sonny was the strong one, a man on casual terms with his handicap - blindness - and one capable of warm, binding affection for the men he plays with. These personal qualities are reflected in the music heard here: Lightnin's sly charms and innocence set against Sonny's warm-hearted joy of life. -------------------------------------------------------------------------------- Track Listings 1. Rocky Mountain 2. Got to Move Your Baby 3. So Sorry to Leave You 4. Take a Trip With Me 5. Last Night Blues 6. Lightnin's Stroke 7. Hard to Love a Woman 8. Conversation Blues International Buyers - Please Note: Import duties, taxes, and charges are not included in the item price or shipping cost. These charges are the buyer's responsibility. Please check with your country's customs office to determine what these additional costs will be prior tobuying. Note: It's illegal to falsify customs declarations or mark an item as a "gift" in order to avoid customs fees INTERNATIONAL BUYERS NEED TO BE AWARE OF THE CUSTOM'S TAXES IN THEIR OWN COUNTRY AND KNOW THEY (AS THE BUYER) ARE RESPONSIBLE FOR CUSTOMS TAXES. OUT OF PRINT PRODUCT is IRREPLACEABLE and therefore NOT RETURNABLE. USA SHIPPING: We box/package protectively - Ship UPS Ground/Insured within Continental USA - Hawaii/Alaska by mail. We accept PayPal ONLY WITH CONFIRMED SHIPPING ADDRESS INT'L SHIPPING: We box/package protectively for safe world-wide shipping. When accepting PayPal, we ship ONLY via EXPRESS MAIL FULLY INSURED or PRIORITY MAIL FULLY INSURED - Because of Postal Regulations, EXPRESS MUST BE CHOSEN AT CHECK-OUT if over $80.00 SHIPPING TO U.K., CHILE, PHILIPPINES OR MEXICO. MUST CONTACT MILENA@MYMUSICFIX.COM for international shipping fees prior to PayPal payment -- website does not have capability of international shipping - only domestic within 48 continental United States via UPS Ground/Insured. 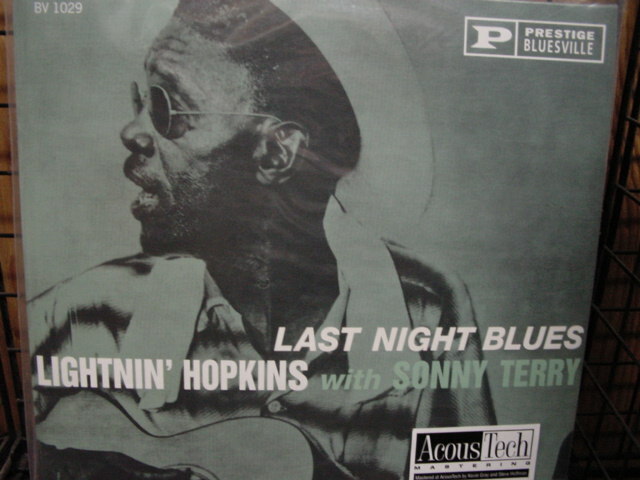 LIGHTIN' HOPKINS - LAST NIGHT BLUES - 1ST EDITION EVER IN THIS 45 RPM SEALED 2 LP SET - IS OUT OF PRINT AND PROBABLY ONE OF THE LAST SEALED COPIES LEFT IN THE WORLD. THIS PRESSING WAS LIMITED TO 1000 PIECES ONLY. DO YOUR HOME WORK AND YOU WILL SEE IT NOT AVAILABLE AT ANY AUDIOPHILE DEALER LEFT IN THE WORLD. Here's How it was done: Using only the original analog master tapes, the renowned team of Steve Hoffman & Kevin Gray remastered and cut all of the titles at AcousTech Mastering, which features a pure Class-A disc-cutting system. AcousTech is located at Record Technology, Inc. the plant where the vinyl was pressed. It is a tremendous sonic advantage to have the pressing plant plating department & mastering room in the same facility as Steve & Kevin could cut a lacquer and plated immediately. This prevents the degradation of the grooves in a lacquer which is very fragile to quick deterioration. And of course cutting at 45 speed is the audiophile choice for the highes quality. A 45-RPM record is sonically superior to a 33 1/3 variety because of a 35 percent reduction of groove curvature compared to a 33 1/3 cut.. It means that while you can't fit as much music into a 45, the undukations of the groove that your cartridge has to track are stretched over a longer distance. 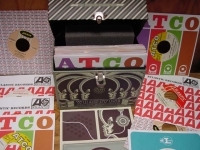 For these reissues, the music was displaced onto four sides, meaning each side contains about 10 minutes of music. This is the ultimate reissues. The only way you'll get closer to this classic music is to listen to the master tapes or have been in the studio with the artist originally during the actual session. 45 Speed - 2 Sealed LP Set For all the similarities of heritage and experience which they share, Lightnin' Hopkins and Sonny Terry were direct opposites. Where Lightnin' was leery of strange situations, dependent and suspicious, and the victim of his handicaps, Sonny was the strong one, a man on casual terms with his handicap - blindness - and one capable of warm, binding affection for the men he plays with. These personal qualities are reflected in the music heard here: Lightnin's sly charms and innocence set against Sonny's warm-hearted joy of life. -------------------------------------------------------------------------------- Track Listings 1. Rocky Mountain 2. Got to Move Your Baby 3. So Sorry to Leave You 4. Take a Trip With Me 5. Last Night Blues 6. Lightnin's Stroke 7. Hard to Love a Woman 8. Conversation Blues International Buyers - Please Note: Import duties, taxes, and charges are not included in the item price or shipping cost. These charges are the buyer's responsibility. Please check with your country's customs office to determine what these additional costs will be prior to bidding or buying. Note: It's illegal to falsify customs declarations or mark an item as a "gift" in order to avoid customs fees INTERNATIONAL BUYERS NEED TO BE AWARE OF THE CUSTOM'S TAXES IN THEIR OWN COUNTRY AND KNOW THEY (AS THE BUYER) ARE RESPONSIBLE FOR CUSTOMS TAXES. OUT OF PRINT PRODUCT is IRREPLACEABLE and therefore NOT RETURNABLE. USA SHIPPING: We box/package protectively - Ship UPS Ground/Insured within Continental USA - Hawaii/Alaska by mail. We accept PayPal ONLY WITH CONFIRMED SHIPPING ADDRESS INT'L SHIPPING: We box/package protectively for safe world-wide shipping. When accepting PayPal, we ship ONLY via EXPRESS MAIL FULLY INSURED or PRIORITY MAIL FULLY INSURED - Because of Postal Regulations, EXPRESS MUST BE CHOSEN AT CHECK-OUT if over $80.00 SHIPPING TO U.K., CHILE, PHILIPPINES, QATAR OR MEXICO. International Buyers are responsible for their country's Customs Fees. MUST CONTACT MILENA@MYMUSICFIX.COM for international shipping fees prior to PayPal payment -- website does not have capability of international shipping - only domestic within 48 continental United States via UPS Ground/Insured.